Video is a great way to engage your audience. IGTV is the longer form video option on Instagram that we can describe as close to having your own YouTube channel, but attached to your Instagram name. 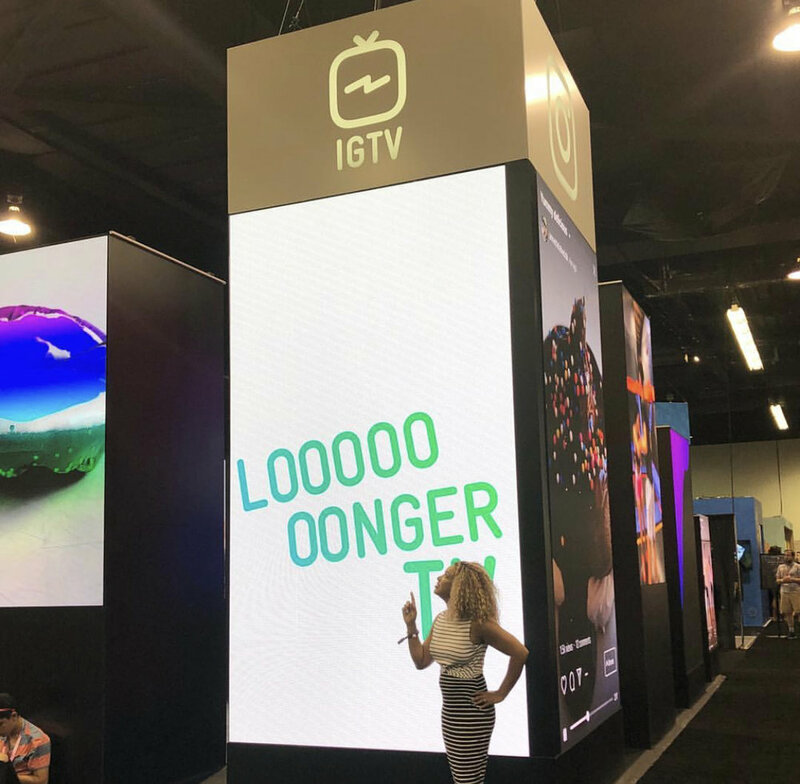 You can use IGTV to be able to grow your brand awareness and foster a connection with your brand. One advantage as a brand is if you post onto IGTV, as of the time of recording this, as a newer feature, Instagram is giving it priority within the app by giving your followers notifications of a new IGTV post no matter where your posts fall on that user’s feed….so great for brand awareness. Here at AI, we’re excited about IGTV for our clients. Our client’s followers can get a better look behind the scene and at the treatments they provide in addition to developing a deeper trust with the provider. For clinics looking to target more millennials, IGTV allows them to connect on a platform they are already spending so much time on. YOUTUBE or IGTV: I still like YouTube to upload videos because you should think of YouTube as a search engine. It is where people are going to find answers to questions. So if you know you are getting a lot of the same questions over and over again in consultations, this is a great place to upload a video of that answer and use that as the title of your video because that is “searchable.” One advantage of being able to post your videos on Instagram though is many clients may have audiences built up on IG and not wanting to start again with building an audience on another platform. If they post on IGTV, their Instagram audience automatically has access to these videos so they have an instant audience who can view them. For clients fortunate enough to have built a YouTube audience already, IGTV is a great place to tease new video content to cross their Instagram audience over to YouTube. Behind-The-Scenes: Think of this style as being more like a documentary. You can let people in on VIP look of what a day in your personal or business life looks like. This may be anything from taping a procedure you have consent on to a brand intro video. If you want it to be more personal, try shooting a “get ready with me” style video at home of what you are using on your skin on #SELFCARESUNDAY! Tutorial: If there is anything your clients are searching for on YouTube, it is probably a tutorial of some sort. Your clients are already seeking information on things like how to apply eye cream or if a beauty tool you may sell like LightStim is right for them. Commentary: This style of video is what we are recording right now! I could have done this as a podcast because it’s really just me going on and on about my ideas on IGTV, but doing it on video helps put a face to the brand. Your commentary could be anything relevant to your audience from “Top 5 questions you should ask your injector in a consultation” to commenting your views on a hot topic of the moment like Kyle coming out to say she dissolved her filler and what products can be dissolved with a video of what that looks like. Commentary videos can even be testimonial videos of your clients! Number one rule is to not overthink things, so get a few ideas on paper and map out at least 12 you can use to drip out one video per month over the next year. And pro tip: be sure to add a cover/thumbnail to your IGTV video. I believe it’s 9:16 and you can make one in Canva from scratch or use a photo from the shoot with some text overlay and make it look GOOD!